Check out the AP Gurukulam Notification 2019 by Andhra Pradesh Tribal Welfare Residential Educational Instructions Society (APTWREIS) Gurukulam. ఆంధ్రప్రదేశ్ గిరిజన సంక్షేమ నివాస విద్యా సూచనలు సొసైటీ గురుకుళం Officials released the Advertisement to hire the eligible candidates for the 1500+ Junior Lecturer, Physical Director, Trained Graduate Teacher (TGT), Physical Education Teacher (PET), Degree Lecturer & Post Graduate Teacher (PGT) Vacancies. Well, the officials didn’t give any particular date to submit the application form or the starting date. Well, will intimate you all, through this post, as soon as they make the announcement. Apparently, the Notification Might release in March 2019. This is a huge chance for the candidates, looking for the Government and Teaching Jobs. Check out all the information and prepare to apply, for the AP Gurukulam Teachers Recruitment 2019. 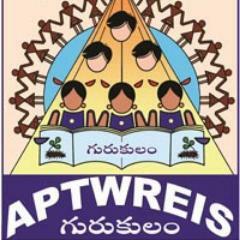 Use the chance that Andhra Pradesh Tribal Welfare Residential Educational Instructions Society (APTWREIS) Gurukulam Officials are providing for the candidates, who finished their Graduation and Post Graduation, and looking for the Government Jobs in Andhra Pradesh State. Through this post, we are including the complete information about Latest AP Gurukulam Teacher Notification 2019. Interested candidates, check them to find out all the Requirements, before heading to the www.aptwgurukulam.ap.gov.in Recruitment home page to apply for the available Vacancies. Well, if in case, you are interested in checking more other Latest Andhra Pradesh State Government Jobs, try to check them on our site Freshers now. Those Candidates, who are willing to apply for this AP Gurukulam Notification 2019, should have finished their Graduation and Post Graduation from any Recognized Institute or University in India, as the Educational Qualification. Well, the contender’s age can lie between 18 years to 35 Years. Please check the Advertisement for application fee details. And read the total details. This AP Gurukulam Notification 2019 is a good shot for the eligible candidates who are waiting for the Government Jobs.